Hello everyone! My name’s Rebecca and I blog over at Simple as That. 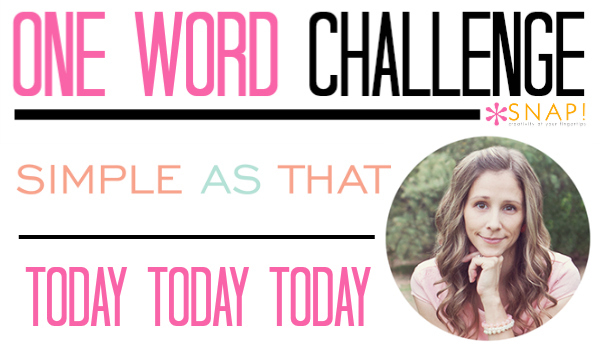 I’m super excited to be a part of this #onewordchallenge that Tauni has put together and to pop in and share my 2015 word with you all! My youngest just turned 5 and as hard as it is for me to believe, she’ll be starting kindergarten this year. 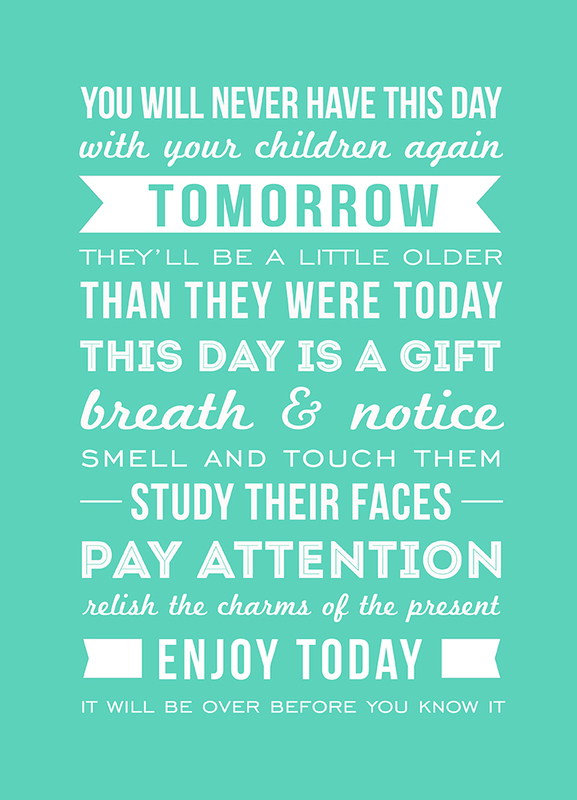 In 2015 I want to focus on slowing down and treasuring each day and each moment with my kiddos. I created a printable version of this inspiring quote that I can display in my home to remind me of my word throughout 2015. Click here to download this quote as a printable 3×4 in the color pictured above. If you pop over to www.simpleasthatblog.com you’ll find a series of printable quotes centered around my word for 2014 that are available for free download! I don’t think we realize what a powerful word “today” is. Thank you for the reminder, Rebecca! Have you visited her site yet? 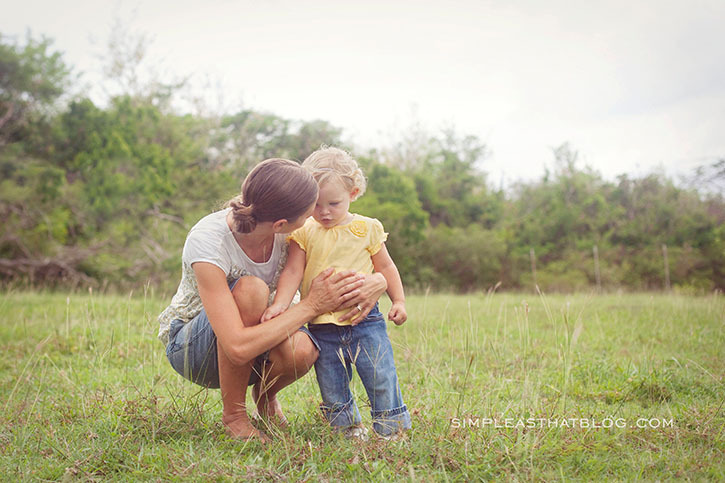 Rebecca posts some of my favorite photography tips and printables around. Stop by and check it out!